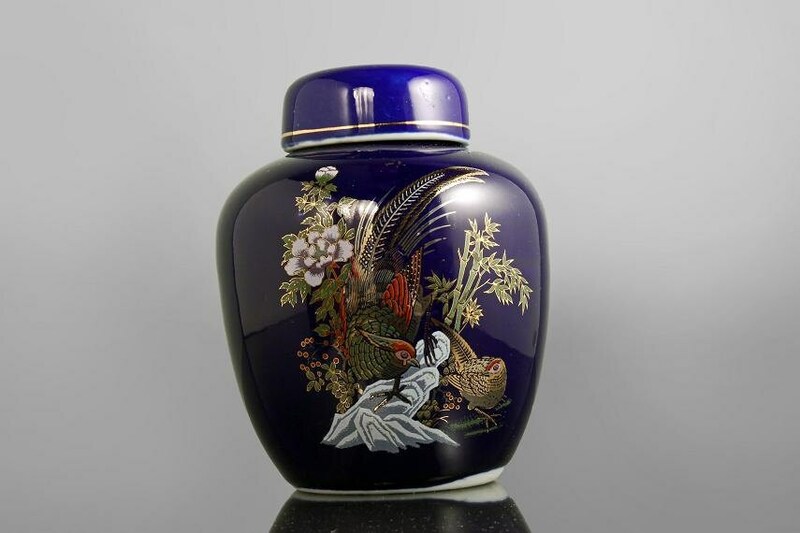 A charming cobalt blue ginger jar with lid. 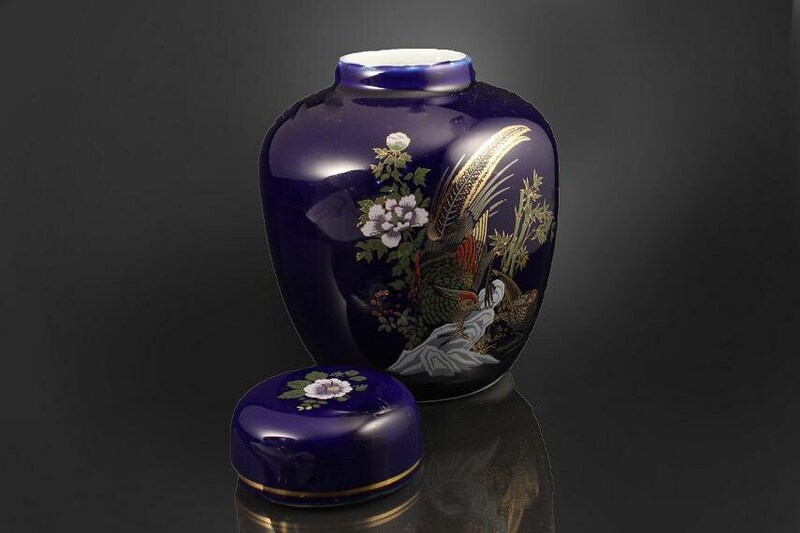 This jar was made in Taiwan. 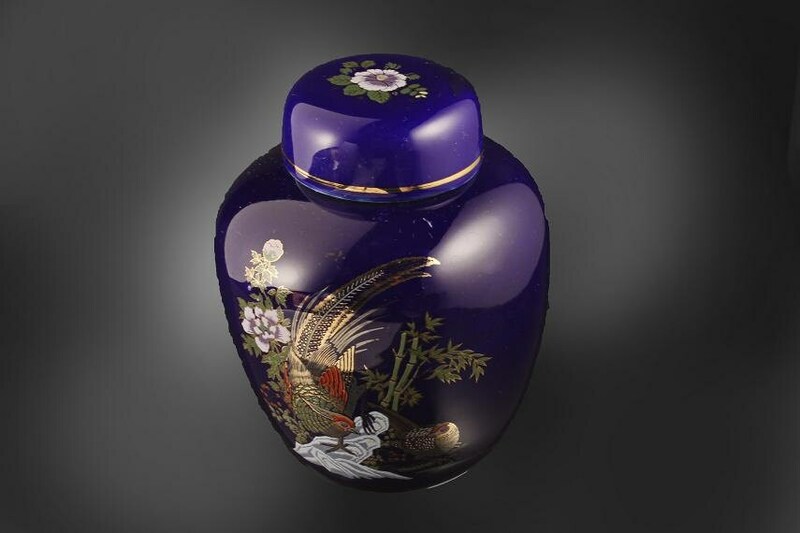 The pattern has pheasants outlined in gold, white flowers, and bamboo. What an excellent addition to your home decor or to a collection. 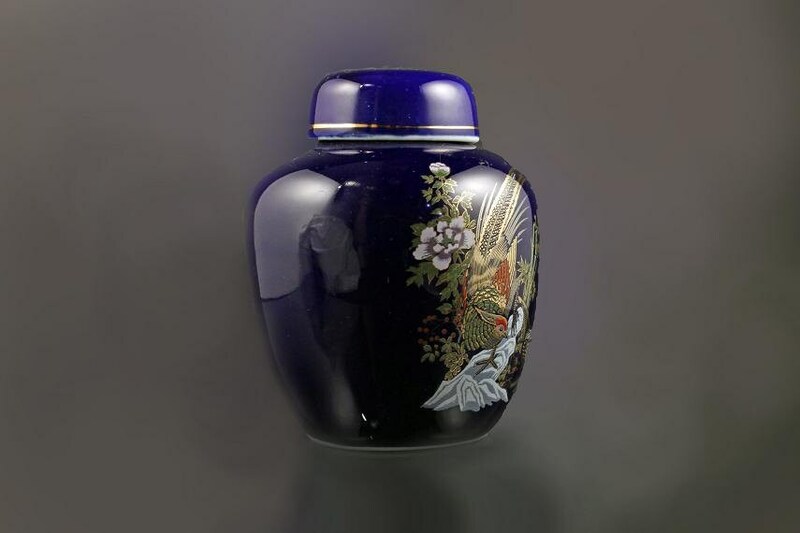 This vintage jar is in very good condition. 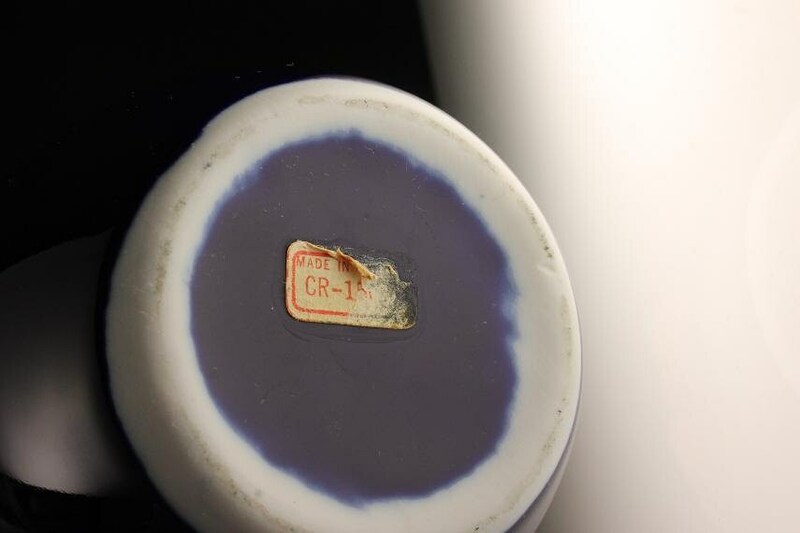 It has some surface scratches around the rim, on the lid, and minor ones on the body. These are hard to photograph. There are no cracks or crazing.